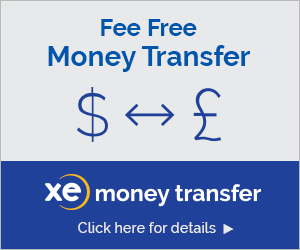 XE Money Transfer Tips: Why Do Currencies Fluctuate? These days, some currency rates are jumping to all-time highs while others plunge to record lows. Exchange rates are constantly fluctuating, but what, exactly, causes a currency's value to rise and fall? Simply put, currencies fluctuate based on supply and demand. 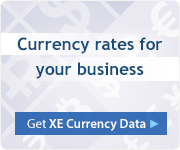 Most of the world's currencies are bought and sold based on flexible exchange rates, meaning their prices fluctuate based on the supply and demand in the foreign exchange market. A high demand for a currency or a shortage in its supply will cause an increase in price. A currency's supply and demand are tied to a number of intertwined factors including the country's monetary policy, the rate of inflation, and political and economic conditions. One way a country may stimulate its economy is through its monetary policy. Many central banks attempt to control the demand for currency by increasing or decreasing the money supply and/or benchmark interest rates. The money supply is the amount of a currency in circulation. As a country's money supply increases and the currency becomes more available, the price of borrowing the currency goes down. 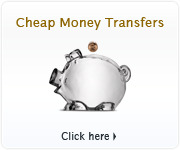 The interest rate is the price at which money can be borrowed. With a low interest rate, people and businesses are more willing and able to borrow money. As they continually spend this borrowed money, the economy grows. However, if there is too much money in the economy and the supply of goods and services does not increase accordingly, prices may begin to inflate. Another variable that heavily influences the value of a currency is the inflation rate. The inflation rate is the rate at which the general price of goods and services are increasing. While a small amount of inflation indicates a healthy economy, too much of an increase can cause economic instability, which may ultimately lead to the currency's depreciation. A country's inflation rate and interest rates heavily influence its economy. If the inflation rate gets too high, the central bank may counteract the problem by raising the interest rate. This encourages people to stop spending and instead save their money. It also stimulates foreign investment and increases the amount of capital entering the marketplace, which leads to an increased demand for currency. Therefore, an increase in a country's interest rate leads to an appreciation of its currency. Similarly, a decrease in an interest rate causes depreciation of the currency. The economic and political conditions of a country can also cause a currency's value to fluctuate. While investors enjoy high interest rates, they also value the predictability of an investment. This is why currencies from politically stable and economically sound countries generally have higher demand, which, in turn, leads to higher exchange rates. Markets continually monitor the current and expected future economic conditions of countries. In addition to money supply changes, interest rates, and inflation rates, other key economic indicators include gross domestic product, unemployment rate, housing starts, and trade balance (a country's total exports less its total imports). If these indicators show a strong and growing economy, its currency will tend to appreciate as demand increases. Similarly, strong political conditions impact currency values positively. If a country is in the midst of political unrest or global tensions, the currency becomes less attractive and demand falls. On the other hand, if a market sees the introduction of a new government that suggests stability or strong future economic growth, a currency may appreciate as people buy it based on the good news. There is no single indicator that explains exactly why a currency has fluctuated or predicts with certainty what its price will do. Instead, many factors related to demand and supply affect currency values. What has been shown is that more knowledge and understanding of market conditions and their implications for currency fluctuations leads to more accurate predictions.